Contemporary or modern kitchen designs are all about helping you save more space, even when you get innovative designs. The entire idea about having modular kitchen styles or open or even compact contemporary styles is to lay emphasis on space saving, ensure that you get the maximum utilization of a small space and at the same time enjoy your cooking in the same. It is all about blending together user needs and keeping them in theme with the requirement of the household. 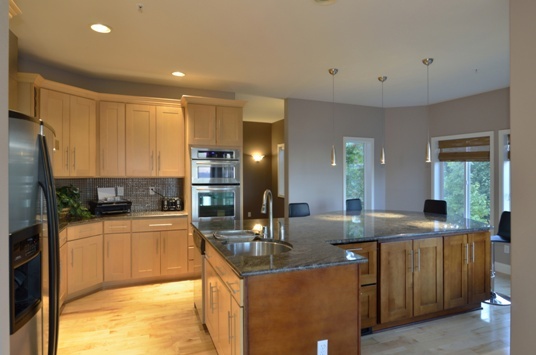 You are getting a new home or plan to refurbish your current home kitchen. In both cases, it is vital to consider some home decorating ideas or interior design tips. Remember that when it comes to decorating a home you will need to exhibit skill and talent, which reflects your taste. One of the most important aspects of home decoration is flooring. The right kind of flooring can make your home seem like a cozy haven. But the wrong flooring can spoil the overall decoration of the house. Hence, you should choose your home flooring with a lot of patience and practicality. Kitchen designing is not an easy task. You will need to review the pros and cons of different kinds of flooring. For instance, bamboo flooring and wood flooring make the house appear classy. You can spread rugs on them, they are easy to clean and almost all kinds of furniture will blend with them. But they are prone to termites and scratches. So, every time a chair is being pulled, your heart would go throbbing. You can opt for different kinds of flooring systems in various parts of the kitchen. This essential part of interiors can make the house look chic and bigger or it can appear smaller and shabbier. Bamboo and wood flooring is eco-friendly and it has become a trend in recent times. So, get this flooring in areas that are less prone to dragging of furniture like the den or your bedroom. When it comes to the cabinets and the drawers, you surely need something that is easy to access on an everyday basis and yet provides you with the benefit of saving space. Think of sleek designs that look terrific on the exterior. Like the exterior of the kitchen, it is vital to ensure that the interiors of the kitchen are thought out well. For this, you should try to prioritize how you space and keep these drawers and cupboards. Work it out so that you access what you need first and then keep lesser important things at the back. Also, keep these interiors planned in a way so that they are easy maintenance. For a stylish design you can opt for Italian marbles. This flooring would last for decades to come and makes you feel like you are living in a palace. Interior ideas for such flooring include grand paintings, classic furniture, engraved wood pieces and antiques. Choose a sensible flooring style, which suits your budget and is practical in the long run too. Just make sure that you are comparing rates and quotes from different companies. If you are designing and doing most of the carpentry work yourself, then it could really take a long time. Along with this, buying module furniture for your modern kitchen designs makes sense when you are in a rush and don’t have time to invest in getting these made. 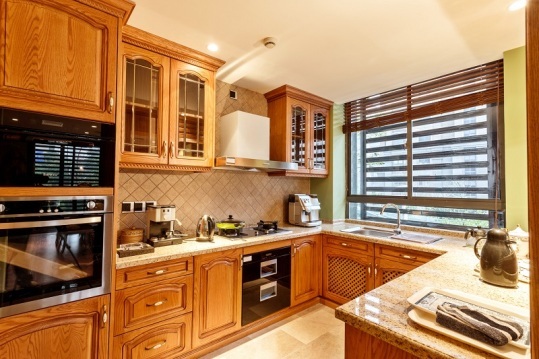 Do you want to know more tips about Modern Kitchen Designs? Let’s go to the details to get few more information about it.